Boo Snider is a Mid Atlantic Shenandoah Valley traveling musical trubadour. 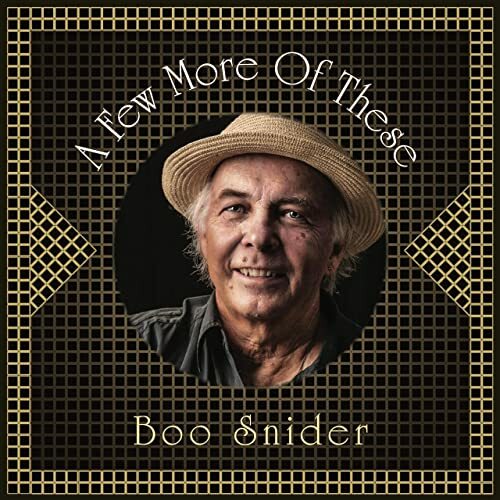 Mr. Snider’s musical career stems back to the 1960’s, where he played in a very popular Mid Atlantic Band called ‘Mod And The Rockers.’ Boo has spent his entire life honing his songwriting craft and in particular performing his songs as a solo act for the last 15 or so years in the Mid Atlantic region. Boo Snider has several albums to his credits as a solo performer “Permanent Vacation” released in 2001 and “This Is Life” released in 2003. In 2014 Mr. Snider collaborated with Gary Ackerman to record an exceptionally stunning album called “Ol’ Coots.” Masterfully recorded and crafted the album has 14 songs that present magically sonic ‘slices of life’ artistry. Boo has several new projects being produced and recorded and released here at Bird Dog Records. hi there, staggerlee from spain writing, i´ve been able to listen to ol´ coots on youtube, it looks like a jewel, any chance to put that abum here, thanks guys from spain.